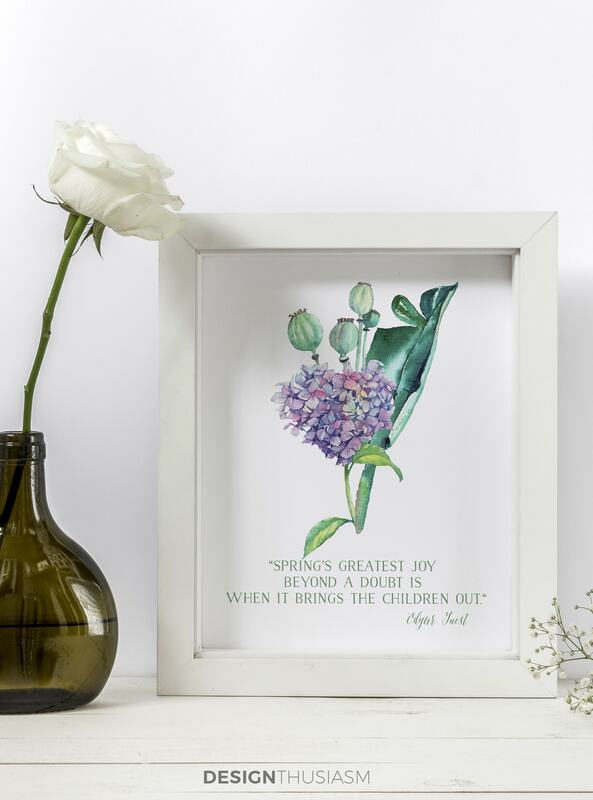 In this post: Free printable art for spring with high resolution digital downloads. 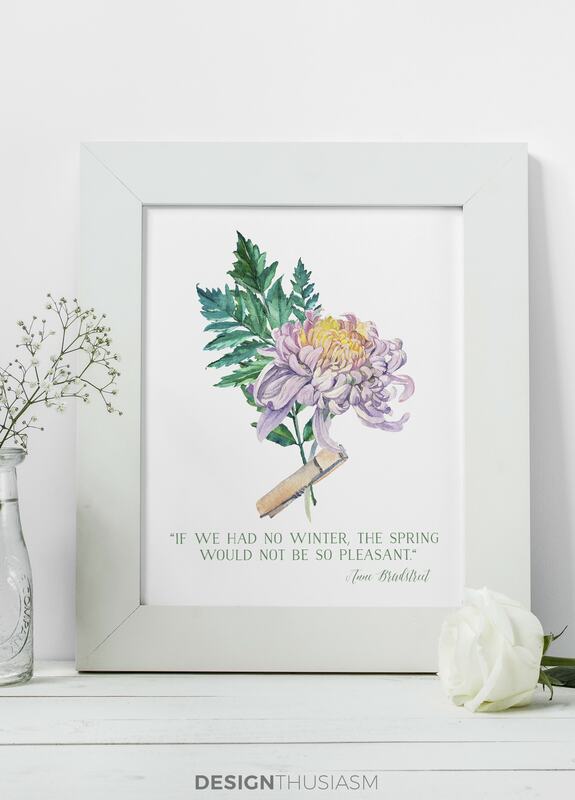 These watercolor flowers printables are great to use for DIY spring wall art. 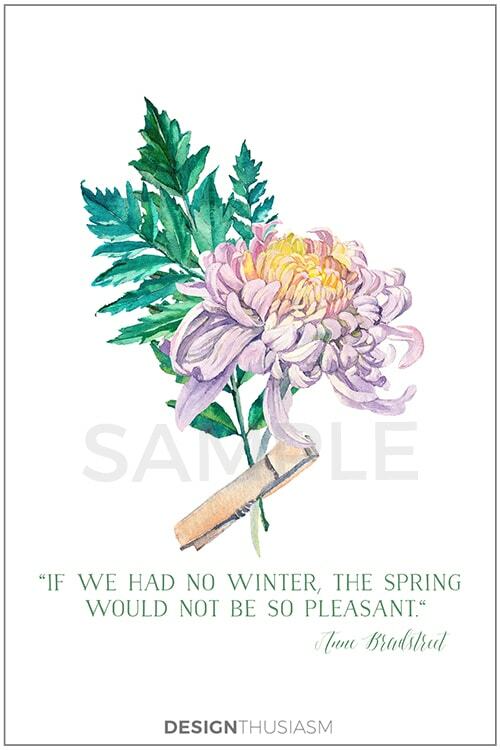 Do you enjoy freshening up your home with new wall art from time to time? Sometimes updating your home seasonally is as easy as adding a few new pillows and refreshing some of your wall decor. You might keep a grouping of frames in an entryway or above the mantel and simply change out the art as the next season approaches. 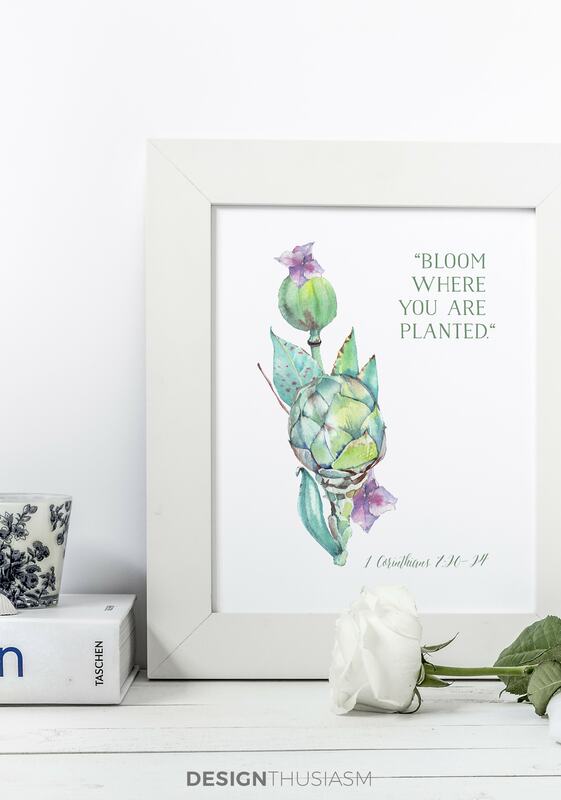 This is where free printable art can be the easiest way to update your decor. One of my goals for this year is to build a library of free printables, available for subscribers only. I will be adding new items to this library every month, so that there’s always something fresh and new coming your way. 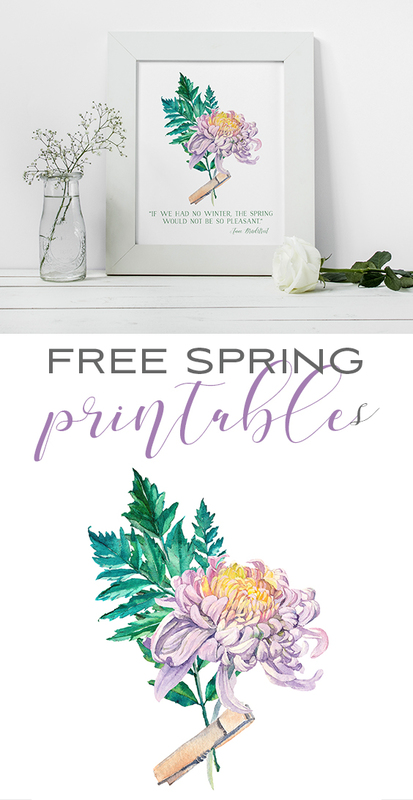 Today I’m including a set of free printable art for spring, featuring watercolor flowers and seasonal quotes. The set is comprised of 3 pieces that would hang beautifully together. 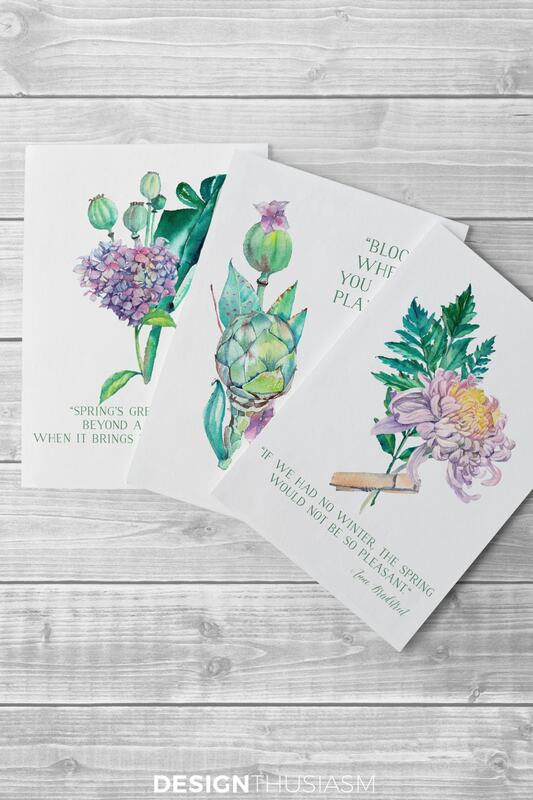 This set of free printable art comes as a one-page digital download that features the three different pieces of spring wall art. It is available in the Designthusiasm Subscribers Only Library which is a growing library of free printables and other exclusive treats. To gain immediate access to the Subscribers Only Library, simply fill out the brief form below and you’ll receive an instant email with a link to download the artwork. As part of your free membership you will also receive our new posts, weekly newsletters, and unique offers direct to your inbox, including upcoming free printables! 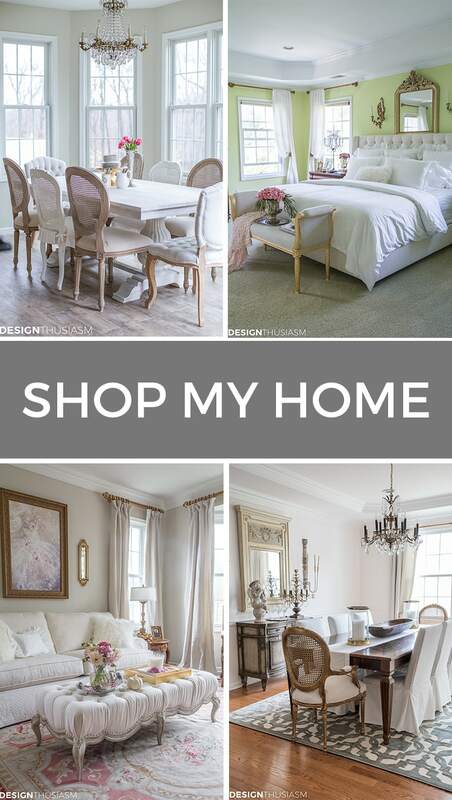 Designthusiasm readers are a creative bunch who are interested in adding joy to their lives with small pleasures and little attainable luxuries. We would be delighted for you to join us! For best results, wall art should be printed on matte photo paper or quality card stock. Simply cut to size and frame.